Israel Online is an annotated collection of educational resources about Israel divided into categories. 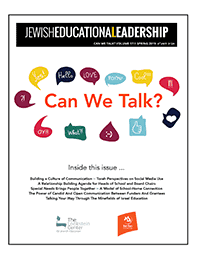 These categories were chosen because of their practical value for Jewish educators. If you think that there is a category or link missing, please click here. Israel Online is promoted and supported by Dr Shmuel and Evelyn Katz, Bal Harbour, Florida. To view the complete resource, click on the title. Stand With Us seeks to educate the public about Israel by providing educational materials, weekly e-mail alerts, and running programs and conferences. The website includes a list of advocacy activities, downloadable signs for events and “Israel 101” course materials (summaries of Israel’s ancient and current history, powerpoint presentations and lesson plans). Materials in English, Hebrew and Spanish. The Anti-Defamation League offers a plethora of information useful to the Israel advocate, including an action plan for advocacy, Qs & As on how to respond to common misperceptions about Israel, and basic facts about modern Israeli history. Honestreporting is an organization dedicated to defending Israel against prejudice in the Media that aims to provide educational tools and resources to anyone wishing to advocate for Israel. Their materials provide people with information that is helpful when responding to the Media, in their dealings on Campus or in the work place, and in any other sphere where having credible, considered background material is of value. The Middle East Media Research Institute (MEMRI) explores the Middle East through the region’s media. MEMRI bridges the language gap which exists between the West and the Middle East, providing timely translations of Arabic, Persian, and Turkish media, as well as original analysis of political, ideological, intellectual, social, cultural, and religious trends in the Middle East. The Daily Alert is prepared for the Conference of Presidents of Major American Jewish Organizations by the Jerusalem Center for Public Affairs. It reviews the on-line media’s reporting of current issues connected with Israel and the Middle East, and includes links to the news stories. The college campus is the battleground for Israel in America today. Israel Campus Beat, a project of the Conference of Presidents of Major American Jewish Organizations, offers access to daily news stories, analysis and opinion pieces that will help a college student understand and defend Israel’s positions. The David Project, runs leadership programs for students and teachers as well as runs educational programs. The website contains a complete advocacy curriculum for downloading. Myths and Facts publishes material regarding the Israeli-Palestinian conflict. Available online are UN resolutions and various charters and constititutions. The classic Israel advocacy text Myths and Facts by Mitchell Bard is now available in several languages at The Jewish Virtual Library. CAMERA is a media-monitoring organization promoting accurate reporting about Israel and the Middle East. Search by newspaper or media agency, journalist or issue. The Israeli Ministry of Foreign Affairs includes a description of Aliya from ancient times until the present day and gives official figures for each of the Aliyot. Jacob Richmans homepage brings a number of fascinating aliya stories of individuals who have made Aliya; each story is from a personal angle. The Zionism and Israel Information Center’s Encyclopedia and Dictionary defines the concept and brings a brief description about the meaning of Aliya. The Jewish Agency website defines Aliya and brings links that describe the various waves of Aliya. Tehilla offers practical advice for religious people wanting to make Aliya. The A-Z of Aliya brought to you by Nefesh B’Nefesh. NBN takes you through the aliya process from beginning to end and beyond: from why one should live in Israel to obtaining an Israeli driver’s license. Israel-Aliya Blog provides a satiric view of Aliya, life in Israel and the Jewish world. An educational webquest from the Lookstein Center teaches a historical overview of Aliya. The Hagshama Department of the WZO includes a number of articles on the history of Aliya and essential facts to help you teach about Aliya. Israeli Ministry of Finance provides a general introduction to the Israeli economy with links to more details and information. Wikipedia‘s entry for the economy of Israel. GlobalEdge on Israel provides a history about the Israeli economy. The World Factbook contains basic information about the Israeli economy including major industries. Bank of Israel website contains articles about the shekel, the banking system and the Israeli economy. Globes, one of Israel’s financial papers, provides readers with general information about Israel’s economy incuding international trade. The Israel Science and Technology Homepage includes information about science and technology in Israel, including a job database and listings of professional associations, research funds and governmental offices. It also includes an overview about life in Israel beyond the science sector. The Ben Yehuda Project (Hebrew) aims to make available online much of classical Israeli and Hebrew literature for which the copyrights have expired.The site contains the writings of Ibn Gvirol, Yehuda Halevi and Shmuel Hanagid alongside Ben Yehuda, YL Gordon, Bialik, YL Peretz and many, many more. This article about Eliezer Ben-Yehuda in the Jewish Virtual Library provides a short biography of the father of the modern Hebrew language. The official website of the Academy Hebrew Language, the organization that prescribes standards for modern Hebrew grammar, orthography, transliteration, and punctuation. The site includes a database of new Hebrew terms; registration required. Omniglot is a website dedicated to the writing systems and languages around the world. The Hebrew section contains a pronunciation guide and notable features of the language. Links to free Hebrew fonts are provided. A survey of Hebrew literature from MyJewishLearning.com. Jacob Richman’s Learn Hebrew site provides thematically organized vocabularly lists of Hebrew words and phrases translated into several languages including English, French, and Russian. Click on the word to hear the correct pronunciation. The Institute for the Translation of Hebrew Literature provides a searchable database that includes bibliographies of Israeli writers and poets, along with a list of their works. My Israel Source is a virtual community of Jewish educators dedicated to Israel Education. It contains information, activities and programs for a broad range of ages and in a wide range of eduational frameworks on a topics including the political system, geography, foundation of the state, Israeli-Palestinian relations, peace accords, etc., as well as links to other online resources. Note that the site has not been updated since 2004 and has some technical glitches. Syllabi of courses offered by Professor Ken Stein, director of the Institute for the Study of Modern Israel at Emory University. Courses include “The Palestine Mandate”, “The history of Modern Israel” and others. The Association for Israel Studies, an international, interdisciplinary scholarly society devoted to the academic and professional study of modern Israel, offers a large number of syllabi on Israeli politic, culture, the Arab-Israeli conflict and more. Mikranet is a project of the Center for Educational Technology in Israel. This site (Hebrew) is designed for Israeli students (both secular and religious), and provides fascinating online resources for the study of Tanakh. It includes resources relating to history, archaeology, art and poetry as relevant to Tanakh, as well as classical parshanut. JUICE, the Jewish Agency online university, archived a course entitled “Issues in Israeli Society” that was offered in 2000. Israel Travel and Activity Guide written by Lisa Gittelman Udi for third graders. The Lookstein Center offers a variety of Israeli instructional materials. A practical article about teaching Israel in preschool hosted at the The Jewish Agency website. “Israel in Jewish Early Childhood Education” by Ruth Pinkenson Feldman and Shira Ackerman Simchovitch hosted on the The Jewish Agency website. Israel Meteorological Service includes information about the rainfall and climate. Israel Image is a rich collection of beautiful photos from Israel, including Biblical animals and places. Viewing the pictures is free. They are only downloadable for payment. This is the official site of the Israel National Parks Authority (Hebrew and English). You can find here information about visiting Israel’s natural parks, hiking trails, conservation and is searchable by region or topic. Rethinking Schools offers an interactive map game of the Middle East. Students drag the countries name into its proper place. At The Center for Mapping in Israel (in Hebrew), you can buy, or custom order, maps of Israel. The site also includes free viewing of topographical maps (1:100,000). Eye on Israel provides an interactive, clickable map of Israel with lots of detail. For any geographical area, one click gives access to accomodations and attractions. JNF’s official site contains information about the environment, water resources and, of course, forests. ERETZ is the Israeli equivalent of National Geographic – the focus being Israel. This is their website, with some of the articles available for reading and access to information about Museums, Hiking Trails, Nature Notes and more. The Virtual Israel feature on the Babaganewz website includes a video and photography tour of some of Israel’s most famous geographic locations. Perry-Castaqeda Library Map Collection (located at the University of Texas library) focuses on contemporary political issues. Maps of Israeli population density, economic activity and land use. It also includes maps of Israeli settlements on the West Bank, Gaza Strip and Golan Heights. Israel Insider offers a flash-based story of Israel in maps. This series was originally commissioned by Israel’s Foreign Ministry,and provides an in-depth visual look at Israel and its neighbors from the times of King David and King Solomon to the most current political issues. The National Geographic Society provides dynamic maps of Israel that allow you to zoom in or out, recenter, or enlarge. Choose various views from the drop down box, including: a satellite view, road maps, street maps or city closeups. World Atlas provides various maps of Israel. MidEastWeb outlines the history of Israel in maps. Free Blank Outline Map of Israel to print out for educational, school or classroom use from Geography Guide Matt Rosenberg. Map of Israel and neighboring countries in PDF from the Univeristy of Texas library. Maps of War portrays the history of war in the Middle East using interactive maps. This site requires the Flash plugin. InIsrael.com provides a clickable tourist map of Israel with links to entries about each city. Zionism and Israel Information Center offers ancient and modern maps of Israel and Palestine. Gems in Israel’s “talking maps” allow you to hear the Hebrew pronunciation of various places in Israel. If your computer has a sound card and speakers, simply place your cursor on the name you want to hear. When the cursor changes and appears as a ‘hand’ click to hear the pronunciation. (Make sure to allow pop ups before choosing a map). Kibbutz Lotan Center for Birdwatching sponsors a photo gallery of birds in Israel. The English version of the Society for the Protection of Nature in Israel (SPNI) website describes the state of Israel’s environment and outlines several environmental protection projects it organizes. The Hebrew version of the Society for the Protection of Nature in Israel (SPNI) website includes maps of nature trails in Israel. It also contains coverage about the Israeli environment, including the state of beaches, water resources and open areas. The Botanic Garden in Jerusalem maintains a searchable database containing information and photographs of thousands of plants and flowers found in Israel. Search for Latin names by genus, species or family. The Gavison-Medan Covenent aims to find compromises and concessions for easier legislative co-oexistence between the religious and secular communities in Israel. The Institute for Zionist Strategies’ suggested proposal for an Israeli constitution. The Israel Democracy Institute’s suggested proposal for an Israeli constitution. An explanation of the differences between the two Constitution proposals prepared by the Institute for Zionist Strategies. The Knesset website provides information about the Israeli political system and the government. The InscriptiFact Project is a database designed to allow access via the Internet to high-resolution images of ancient inscriptions from the Near Eastern and Mediterranean Worlds. The target inscriptions are some of the earliest written records in the world from an array of international museums and libraries and field projects, and include Dead Sea Scrolls, cuneiform tablets from Mesopotamia and Canaan, and more. The Jerusalem Archaeological Park website provides a rich interactive experience: a historical timeline, virtual reconstruction of the Temple, historical notes, tour of the Jerusalem’s walls. The history of modern Zionism article in the Jewish Virtual Library. A Primer of Israel’s History by the Jewish Community Relations Council of Greater Boston includes a timeline of modern Israeli history and the texts of primary source documents related to the establishment of the State of Israel. Hagshama’s site includes this database of historical writings by some of the proponents of Zionism. The Jewish Agency site includes a timeline of Zionist history from the 1700s until the late 1800s. The Jewish Agency site includes a timeline of Zionist history from the 1880s until the present, focusing on the major aliyot. The MidEast Web for Coexistence is a registered Israeli NGO that provides a comprehensive guide to the Israeli-Palestinian conflict and includes timelines, maps, essays and texts from primary source documents. A history of the State of Israel from the The Ministry of Foreign Affairs. Links to a history of Israel in Biblical Times until the present, including paintings and photographs. The Center for Online Jewish Studies includes databases of primary source materials and a collection of Jewish history websites. Of interest is “Digging Jerusalem” an excavation of ancient Jerusalem, “History of Israel”, primary sources about the history of Israel, and their Zionist posters website. Haaretz, one of Israel’s newspapers, maintains an English website. Website of the Jerusalem Post, the largest English newspaper in Israel. Jerusalem Online, one of the first Websites of Israel news in English. Yediot Ahronot maintains YNet, an English and Hebrew online newspaper. The Israeli Ministry of Foreign Affairs official website. This is the government’s public positions, press releases, etc., that may not make it into the foreign press. Globes presents business and technology news about Israel. Israel Highway is a collection of news and features about Israel that aim to help the American high school student better understand Israel and her people. The Orthodox Caucus guide to one-year Israel programs offers information and alumni feedback about Yeshivot and Seminaries catering to English-speaking high school graduates. It also offers articles by educators, links to articles in the press and downloadable applications for some of the programs. The Jewish Agency website offers information on grants for long and short term programs in Israel, including birthright Israel and Massa grants. The Embassy of Israel provides information and a virtual tour of higher education in Israel. The Council for Higher Education (Hebrew) in Israel includes information about grants, scholarships, and tuition affecting the colleges and universities in Israel.